No pity please, just change. On International Day of People with Disability, let’s address all the barriers faced by those with impairments. In recent decades attitudes about people with a disability have changed dramatically. This has resulted in us having an internationally recognized social model of disability that emphasizes that disability is caused by the way society is organized, rather than by a person’s impairment or difference. The medical model says that a person with disability is in need of being fixed or cured, emphasizing what a person cannot be and cannot do. The social model takes away the ‘pity’ and sees disability as the result of the interaction between people living with impairments and an environment filled with barriers. 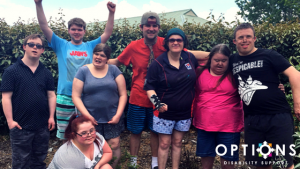 The social model places the emphasis on everyone to remove the physical, attitudinal, communication and social barriers, helping disabled people to be independent and equal in society. It is not the inability to walk that keeps a person from entering a building by themselves, but the inaccessible stairs that that keep a wheelchair-user from entering that building. However, barriers are not just physical. Attitudes found in society based on prejudice and disablism stop people from having equal opportunities and becoming a part of society. The social model of disability illustrates that impairment doesn’t need to lead to disability and focuses on how to remove the disabling features of our modern society. On International Day of People with a Disability let’s take personal responsibility to remove barriers and assist people with impairments to have choice and control of their lives, creating a more inclusive way of living for all.